This book is the first to provide a comprehensive coverage of the field of liquid crystalline polymers. It examines the synthesis, properties, applications and the theoretical understanding of these materials. It is a graduate text, intended for those who are studying liquid crystalline polymers within the disciplines of chemistry, physics or materials science. It will also serve as a standard reference for all involved, at whatever level, with these materials, providing the necessary framework within which to approach the growing literature on the subject. The book will thus be of importance to all students and researchers who are studying liquid crystalline polymers, and will be accessible both to those approaching the subject from a background of conventional polymer science and to those with experience of small molecule liquid crystalline polymers. 8. 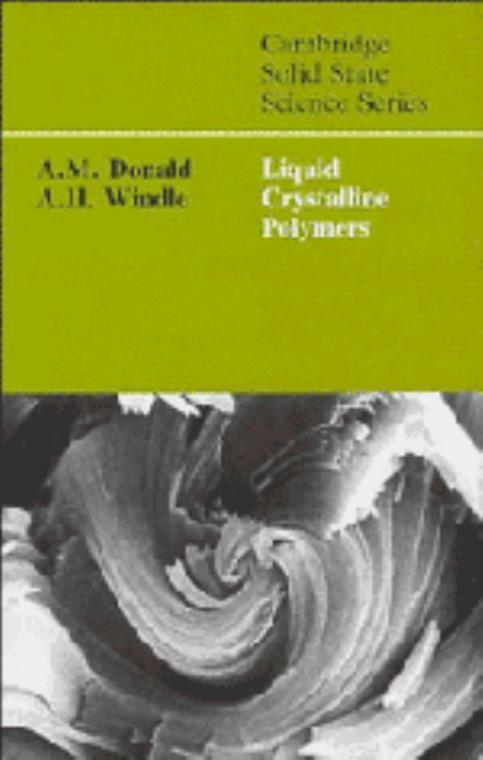 Practical aspects of liquid crystalline polymers; References; Molecule index; Index. A. M. Donald University of Cambridge. A. H. Windle University of Cambridge.